Peugeot Ireland has given us details of what it describes as its 'Summer Sizzler Finance' offer which will run in addition to their existing Five Years Peace of Mind Motoring offer. Peugeot says that it aims to give customers the best possible motoring value this summer. Headlining the offer which it says is for a limited period only - a new Peugeot 208 Access 1.0 litre petrol will cost as little as €199 per month or a quality Peugeot 508 from a sizzling €299 per month. 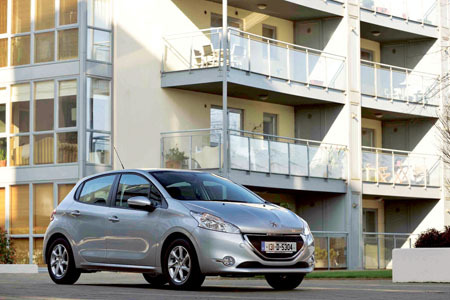 The French carmaker says that the stylish new Peugeot 208, which is Irish Small Car of the Year 2013, has been designed to be kinder to the pocket. Compact on the outside, yet roomy on the inside, lightweight materials and high-performance petrol and diesel engines have driven down the new Peugeot 208 running costs and annual road tax. Peugeot reminds us that buyers will also enjoy the peace of mind brought by five year’s warranty. Standard specification on the new Peugeot 208 Access model includes cruise control and speed limiter, six airbags, ESP and a full size spare wheel. The quality Peugeot 508, the Irish Family Car of the Year in 2012, combines strong design and good looks with award-winning engines, class leading drivability and high levels of safety to offer customers a large, comfortable car for business and family life. Standard specification on the Active model includes rear parking aid, automatic lights and wipers, 17” alloy wheels, full size spare wheel, cruise control, Bluetooth, and dual zone climate control.